From displaced families to schoolchildren and subsistence farmers, WFP provides 15 billion meals to over 90 million people each year. When earthquakes, war or extreme weather overturn people’s lives, WFP helps them stay in their homes, build infrastructure and get back on their feet. Every two seconds a person is forced from their home due to persecution, conflict or natural disaster. 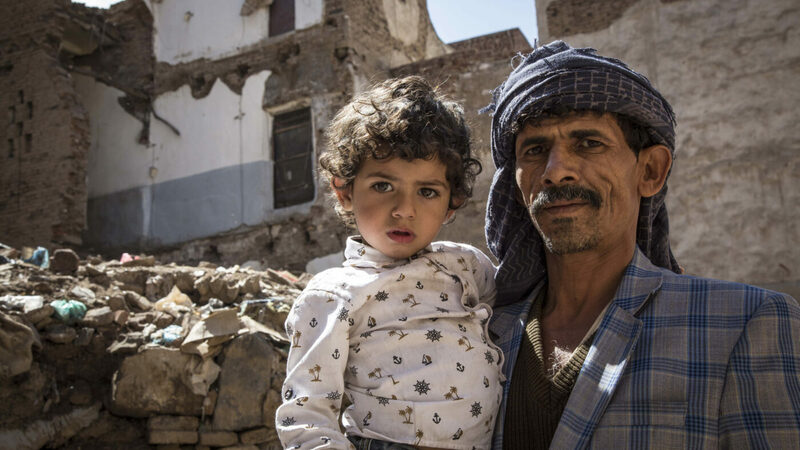 WFP helps displaced families who have lost everything in the process. School meals fuel success for students in the world's poorest classrooms, especially girls. In 2017, WFP reached 18.3 million children with its school feeding program. Pregnant or nursing women, newborns and children under the age of two face an especially high risk of malnutrition. WFP provides them with the food and education they need to reach their full potential. Half the world’s population lives on less than $5.50 a day. WFP’s cash assistance and food-for-work opportunities help communities get back on their feet by building basic infrastructure, markets and economies. It’s a cruel irony that half the world’s hungry people are small-scale farmers. They simply lack basic modern resources to make the most of their crops. WFP helps them move from subsistence to surplus. When they are forced from their homes by conflict or can’t leave because they don’t have the means, WFP makes sure the most vulnerable people get the food and resources they need to survive and thrive. Food saves lives, feeds dreams, and changes futures.